I recently just started playing Doom and it’s everything I’ve been missing in shooters for the past several years. Series like Call of Duty and Battlefield have overtaken the market with their over-the-top set pieces, top of the line graphics and stellar multiplayer suites, but they don’t do much new. Each one tackles the same themes, builds upon similar mechanics and progress in a linear manner. Combat in the campaigns consists of crouching behind a wall, praying that you won’t get hit and occasionally popping up to fire a shot, maybe dropping an enemy or two. The action just serves to push you from level to level, giving you as much to shoot as possible. There have been good single player FPS campaigns in recent years, but a lot of them have struggled to keep me engaged. 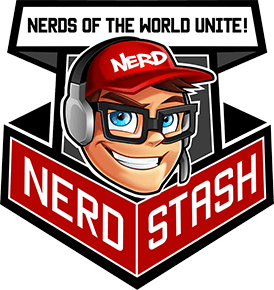 The last first person game that truly captured my attention was Wolfenstein: The New Order. The beautifully realized world, pitch-perfect gameplay, and intense action all melded together perfectly. Picking up two SMGs and decimating a pack of Nazi soldiers felt consistently satisfying, but that was almost two years ago. Since then I have slogged through several Call of Duty story modes, a lackluster Halo story in Halo 5 and several open world romps in the Far Cry series. But they’ve all been missing that special something, and it makes me very happy that, even after only several hours with the title, I can tell that Doom is a true success in an oversaturated genre. 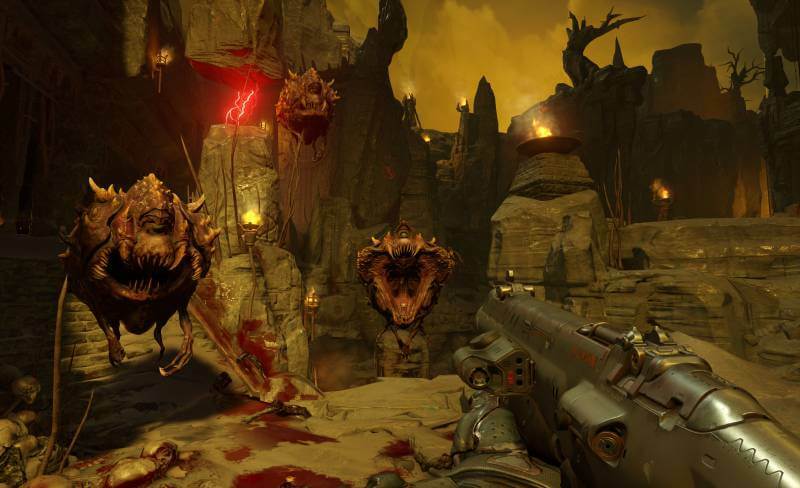 There are plenty of demons to shoot in Doom. The game doesn’t waste any time getting to the action. You sit up in a strange demonic sarcophagus. The lights are dim and a skeletal demon slowly wanders in from the shadows. It lumbers over, thin fingers tearing at the air but just as it reaches you, your character – who we’ll just call Doom Guy for simplicities sake – grabs it by the head and crushes its skull against the ancient stone. 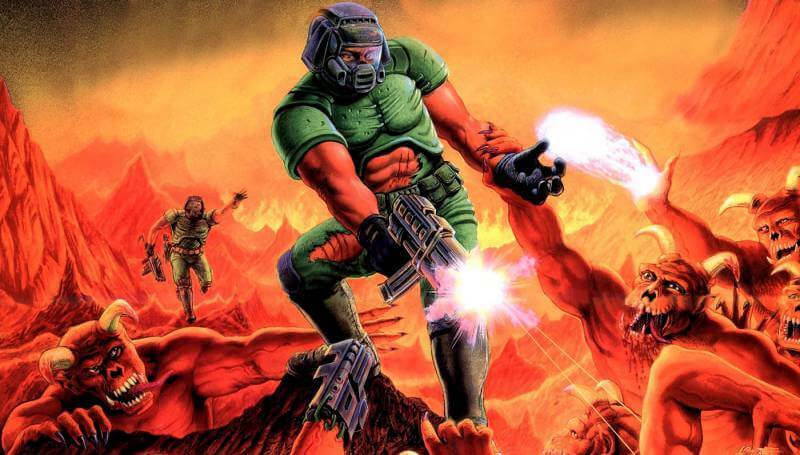 Doom Guy then vaults out of the coffin, quickly snatching up a pistol lying on the ground and starts putting bullets into the demons that are appearing out of the shadows. That is how the first 30 seconds of my Doom playthrough went. The game gives you just enough exposition to give you a reason to shoot everything that moves and then sends you on your way. Immediately after leaving the first room I came upon the infamous Doom armor. The clunky green helmet, wide shoulder pads, and thick gauntlets look as good as ever. As soon as I was all suited up the game really got going. Doom is filled with enemies that just want to tear you limb from limb. Mechanics are taught as you play, weapons are added to your arsenal at a good clip and while the areas are sometimes difficult to navigate, the comprehensive map allows points you in the right direction. Doom knows what it needs to be to live up to its lineage, and it does so incredibly well. Movement is fast, shooting has a weight to it and the violent Glory Kills (melee animations that can be pulled off once enemies are stunned) are always a joy to pull off. The basic mechanics work so well on their own that I would be satisfied if the game were just that, but it’s so much more. Glory Kills always give you health from enemies and ripping a foe to shreds with the chainsaw rewards you with piles of ammo. So not only do you need to master the guns and movement abilities at your disposal, but you also need to know when to whip out each one of your violent weapons. The depth that lurks just beneath the simple run and gun gameplay has kept my eyes glued to the screen so far, and I don’t see that changing. I’ve run down the mechanics of Doom and why I think they combine to make such a satisfying gameplay loop, but how does this make a great FPS single player experience? I should start by saying that I don’t think that every shooter should be made like this. Doom has a callous disregard for story – it has one, it just isn’t very deep or important – and instead puts the gameplay front and center. Some shooters will have an intricate story full of colorful characters while others will give players an open world to explore. Doom focuses on the shooting, which is some of the best I’ve experienced in months – maybe years. It works for this game, but I won’t sit here and tell you that every shooter needs to be Doom. Doom has come a long way. Doom works so well because the timing of absolutely everything pushes the player forward at a breakneck pace. 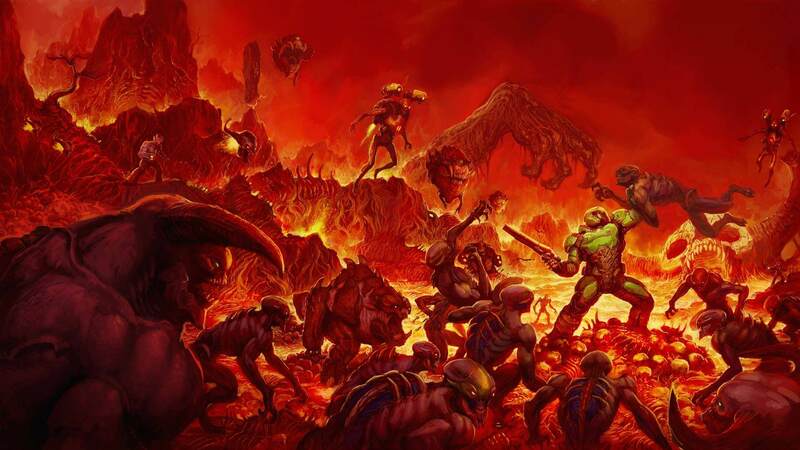 Doom Guy flies through each level, vaulting up ledges and filling possessed soldiers and imps alike with tons of shotgun shrapnel. Each level has plenty of verticalities, which adds a lot of variety to each encounter. The enemies aren’t pushovers either, even on normal difficulty. 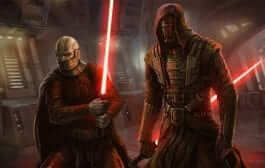 They clamber up the environment, throwing fireballs and lunging forward to deliver devastating melee strikes. Cowering being cover isn’t an option in Doom. The level design and fierce AI pushes you to stay on the move because standing still almost certainly means death. 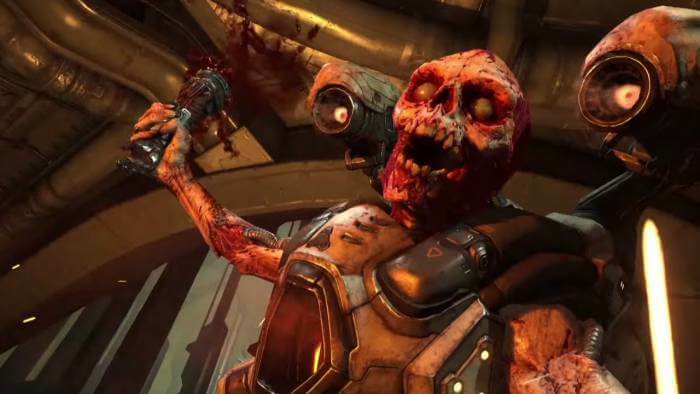 Everything about the single player experience embodies what Doom is. It doesn’t rely on big moments and buildings blowing up to keep up the momentum. Each level is expertly crafted, giving the player plenty of space to fight how they want, but also pushing them towards important story beats equally fast. Levels have plenty of space to explore and find collectibles, which means that there is more to do than just snap necks and fire guns. To me, this is the mark of a good single player FPS experience. Not only do players need to have plenty of well-crafted arenas to kill waves of enemies in, but a fascinating world to explore. These mountains of praise all amount to one stellar single player experience that is more than worth the price of entry. More shooters need to prioritize their single player portions; because they can lead players through expertly crafted levels and encounters that stick in their minds for weeks to come. The Bioshock series isn’t beloved because it has a great multiplayer mode. The original Bioshock and Infinite don’t even have online options, instead offering stellar stories. 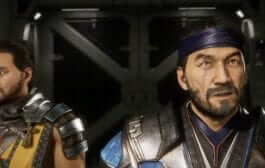 While some games can offer up very well balanced and engaging multiplayer versions of the gameplay that defines a single player, sometimes they just come off as modes that were added as part of a desire to check modes players want off of a list. A good multiplayer suit can be important for the right game, but engaging players in tantalizing stories will keep the game in their minds for much longer. A good story, interesting enemy designs and plenty of well-balanced guns can make for a much more satisfying time than being shot over and over again by 12-years olds online. Doom is the first good single player shooter I’ve played in such a long time that I have no desire to even touch it’s multiplayer. I can’t stop thinking about Doom, and that’s all thanks to the brilliant campaign. Hopefully more shooters take ideas from Id Software’s latest and spend more time creating great single player story modes.